Catch one on your tongue. I don't know about your family, but my MiL makes the best eggnog I've ever had in my life. If you've never had truly awesome home made eggnog, and have only had the phlegmy store bought stuff, you 1) have my sympathies, and 2) may not understand my strong desire not to waste a drop of it. 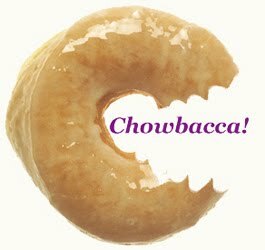 It really is a rich, creamy treat among the many treats available every Christmas. 1. Preheat waffle iron. Beat eggs in large bowl with hand beater until fluffy. Beat in flour, milk, vegetable oil, sugar, baking powder, salt and vanilla, just until smooth. 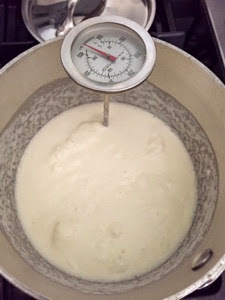 Do this in thirds (one third liquid to one third flour/salt/sugar) at a time for easier mixing. 2. 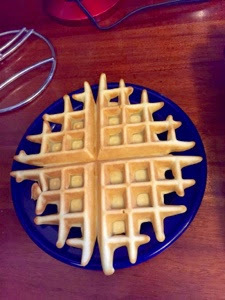 Spray preheated waffle iron with non-stick cooking spray (if required). Pour mix onto hot waffle iron. Cook until little steam is coming from the waffle iron and the waffles are golden brown. Serve hot or let cool and store in zip top bags in the fridge for a day or two or in the freezer to reheat in the oven or toaster. Frozen eggnog? Sign me up! Gently heat the eggnog in a saucepan to 160 degrees. Use a clip thermometer to keep track so that you can remove the pan from heat before the eggnog scalds. This will cook the raw egg in the eggnog*. Let cool to room temperature. 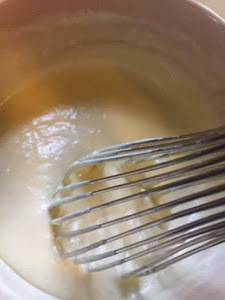 Whisk all ingredients together until sugar dissolves. Pour into the bowl of an ice cream machine. Freeze according to the manufacturer's instructions. 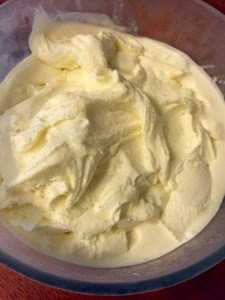 After the ice cream is made, transfer to an airtight container. Cover tightly and freeze until ready to serve. There you have it. If you don't have any leftover eggnog this year, get ready for next year and make some for New Year's Eve! *Since, unlike the waffles, you're not cooking the ice cream. Let's be careful out there. ** You could also do as I've done and take the debris from a gifted-and-devoured box of See's Candies' Victoria Toffee and sprinkle it over the top. I recommend it.